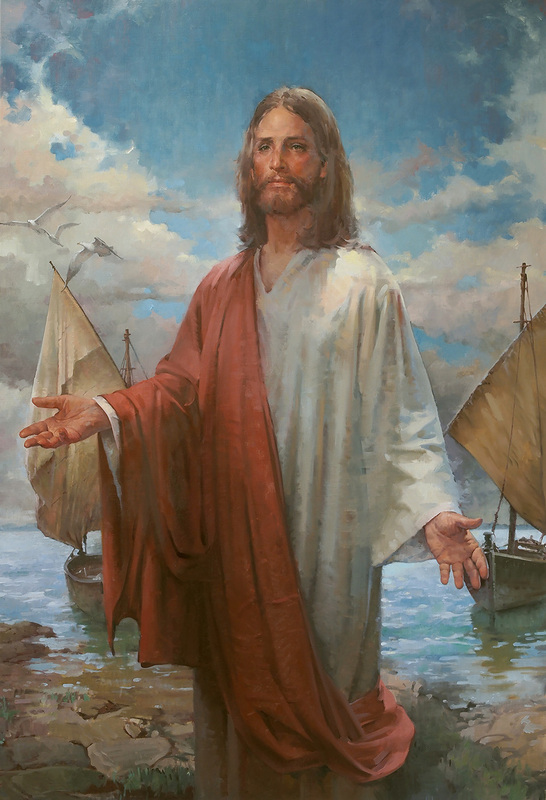 There is no more challenging assignment for the portrait painter than that of attempting a representation of Christ. The problem, of course, is that everyone has a mental image of what Jesus looked like. The artist's portrayal may, or may not, come anywhere near satisfying that mental image. This was my second attempt. 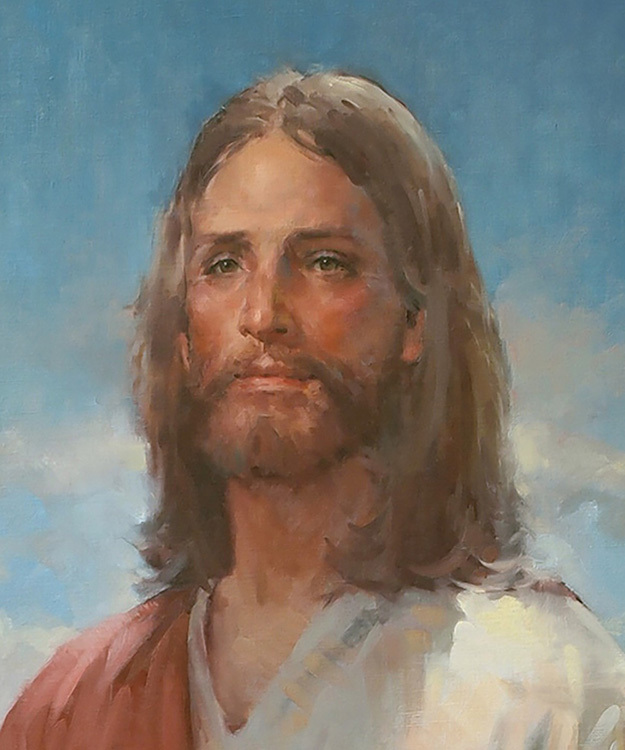 In 1980, at the Fifth Avenue Presbyterian Church in New York City, I painted a Portrait of Christ before an audience, using as my model a student from New York University. This second attempt, in 2016, was based on photographs of that same student, that I had retained in my files. Noroton Church holds summer services on the shore of Long Island Sound, which bears, at Darien, a striking visual similarity to the Sea of Galilee. The two fishing boats are based on the Gospel of Luke, chapter two.